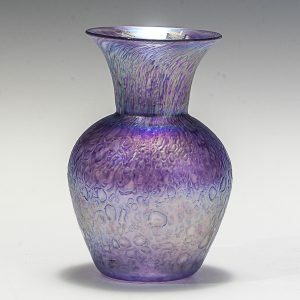 Circle of Friends “Daring” Vase by Henrietta Glass. The top of the vase is in the shape of a heart. Each vase comes with a hand tag specific to its trait/color on a color coordinated satin ribbon and is packed in a gift box. Size: Approximately 5 inches tall, 3 inches in diameter. My friend the daredevil, I turn to you to talk me into my next adventure. I trust you to push me out of my comfort zone because I know you'll never let me go too far over the edge!. “My name is Jill Henrietta Davis and I am the owner and designer of Henrietta Glass. In 1988, after experimenting with many different materials and art forms, I was first exposed to the wonders of molten glass and immediately fell under its spell.